The CAD Server Subscription comes with the latest CAD Conversion Server software and all Advantage Support benefits such as updates, upgrades and priority support. The CAD Server is tuned for high volume generation of scaleable, accurate CAD drawings. Choose the appropriate level subscription based on your anticipated annual page conversions and get started today! Subscribers must maintain a subscription while actively using the CAD Server. 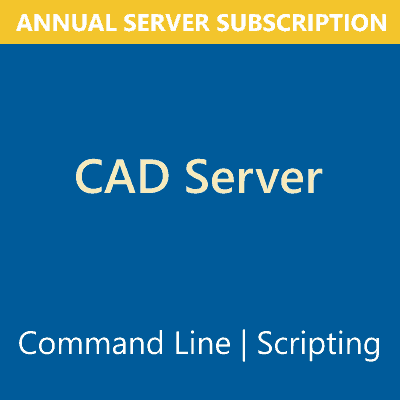 Purchase a CAD Server Subscription below or request an evaluation version. CAD Server Subscription includes Advantage Support. Developer assistance available, if required, through the Priority Engineering Program. Need a DLL or programmatic access? Use the CAD SDK. The Annual all-in CAD Server Subscription includes the most current Conversion Server along with the highest level priority when you need support, all at no extra charge. Choose the appropriate level subscription and get started today! Transform PDF or PostScript to editable DXF or HPGL. Subscribers must maintain a subscription while actively using the CAD Server. The CAD Server is a powerful command-line tool which enables automatic or scripted conversion of PDF into CAD formats (DWG, DXF, HPGL). It includes a wide array of conversion options and variables to ensure your resulting CAD drawing is optimal and can be edited if required. The CAD server supports scaling, rotation, layers, intelligent object recognition, smart text handling and more. Available for both 32- and 64-bit Microsoft Windows, Linux and Mac OS X.
Vector in, vector out – preserves objects and text – not a watered-down rasterizer. PDF to CAD formats? Automate it! If you need a solution for automatically generating CAD files from PDF files as part of a project, service or workflow, you’ve come to the right place!